This opposite addends make 10 worksheet shows the commutative property of addition. Fill in the ten frame and the missing addend. 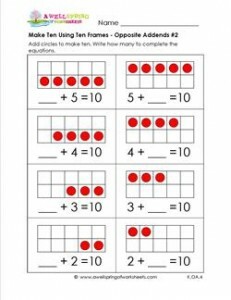 Please go to this page to see all the make ten using ten frames worksheets in this set.